A 17th century house with this charm, this close to such a popular location seems too good to be true – but we really can't see the catch. It’s not hard to see why Guildford – location of this house, on the market for £950,000 – is enduringly popular for house buyers. For starters, the location is incredibly convenient: just a few miles off the M25, roughly half-way between Heathrow and Gatwick airports, and just over half an hour on the train from Waterloo. Not that the ease of leaving the place is Guildford’s chief attraction: these days the city has pretty much anything you could dream of in terms of shops, amenities and schools. They even have an ice hockey team, for goodness sake. With great popularity comes high prices, however, and with £1 million to spend you’ll often be looking at nothing more exotic than a standard 1930s three-bed detached house. Perfectly delightful in its way, but probably not something to fire the imagination of the hordes of young professionals who trek down the A3 each year with the intention of swapping a 2-bed flat in Wandsworth for something a bit more… well, a bit more Country Life, frankly. 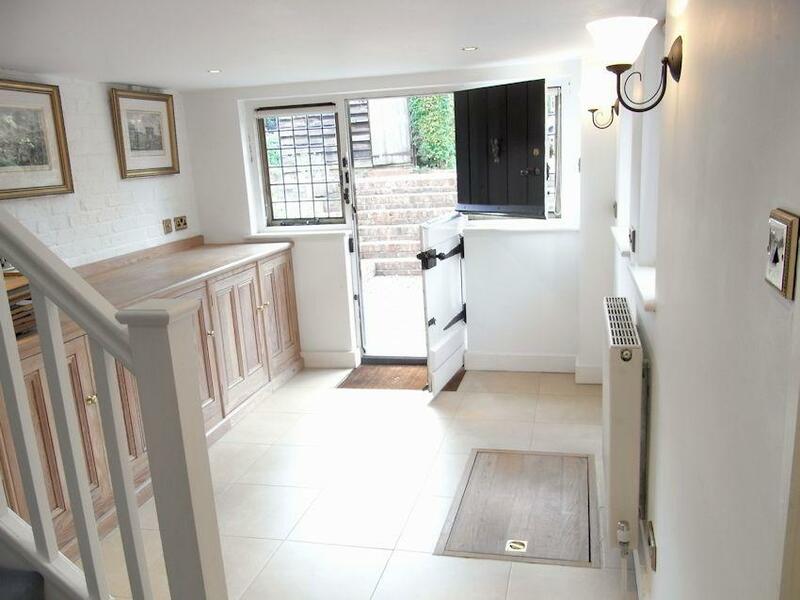 How nice, then, to find a place for the same sort of price which has everything those buyers could dream of in terms of charm, space and character. 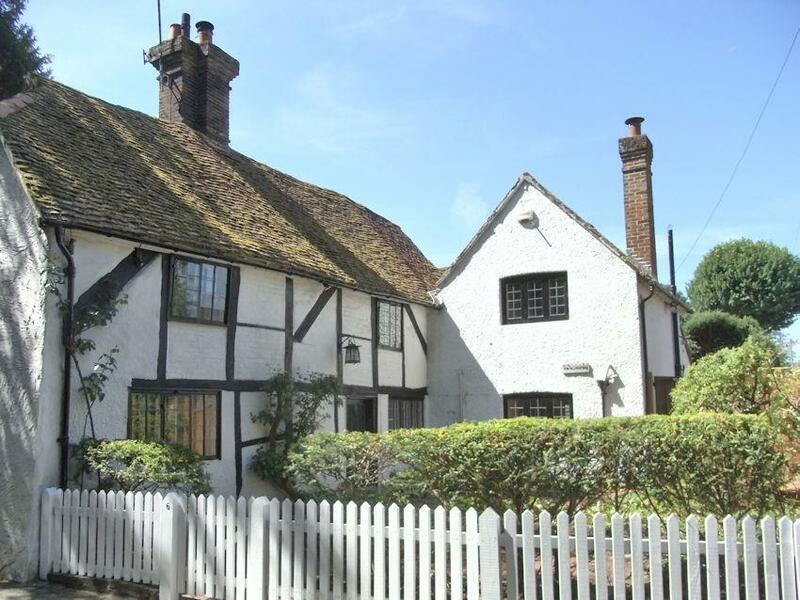 Number 6 Trodds Lane is a Tudor house in the village of Merrow which retains all sorts of original features,including an inglenook fire place, leaded light windows, and nine-inch elm floor boards upstairs. The house is arranged over two floors and has four bedrooms, plus a further room downstairs which could easily be used as a fifth. The gardens are a real feature, and are believed to have been landscaped around the turn of the 20th century. 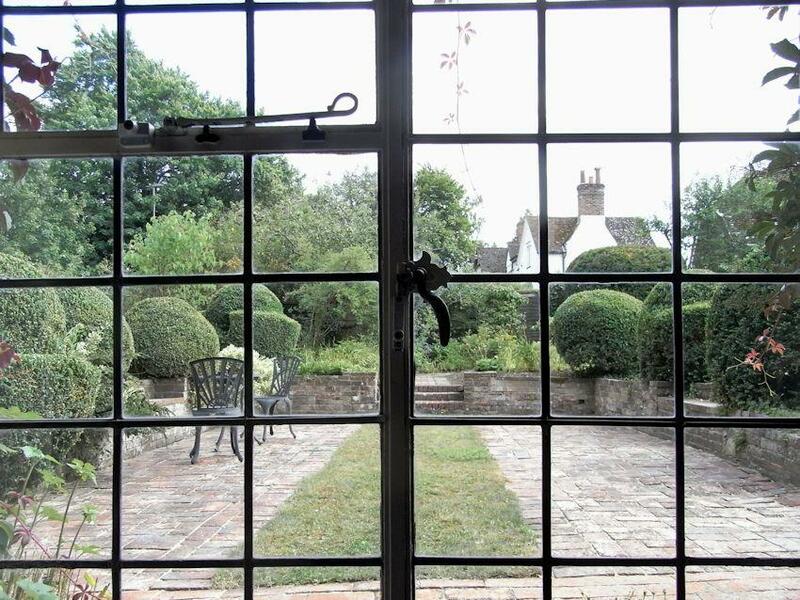 There is a sunken garden with topiary and brick paved path up to a lawn with pond, and then through hedges and borders, a vegetable patch with a large workshop and wood store. 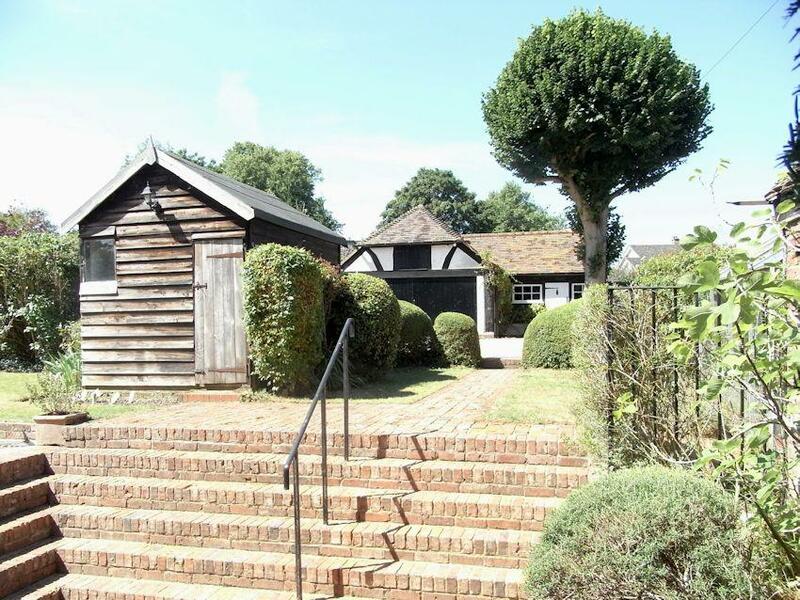 There is also a detached barn-style double garage with store above and an adjoining trailer shed/store, with front and rear doors opening onto the lane. Given the price tag, the plot is generous – so much so that the agents, Hills & Downham, suggest that it could be split in two and another property built, subject to planning permission. Don’t expect that permission to be entirely straightforward – given its age, this house is of course Grade II listed – but if you’re happy to jump through the hoops there is a real investment opportunity. Don’t think of it that way, however. 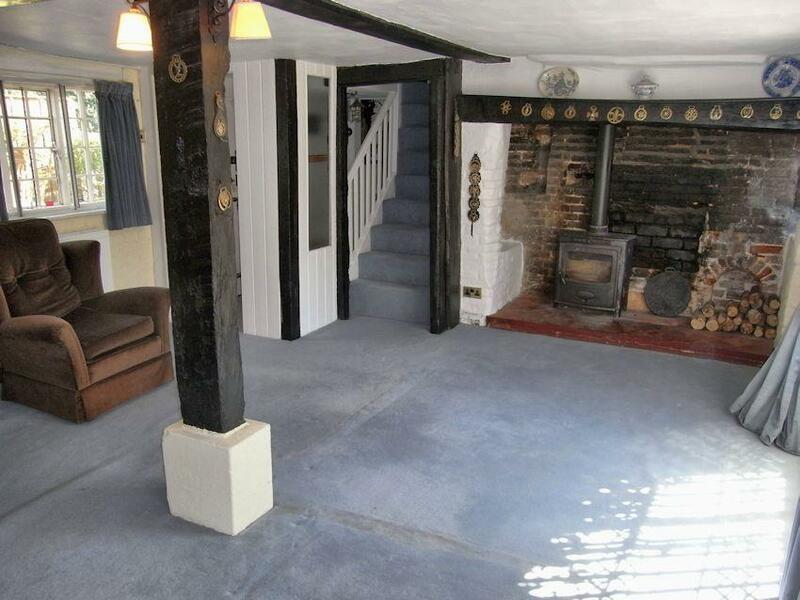 Think of it as a lovely old house that, while needing some updating, is a terrific family home. 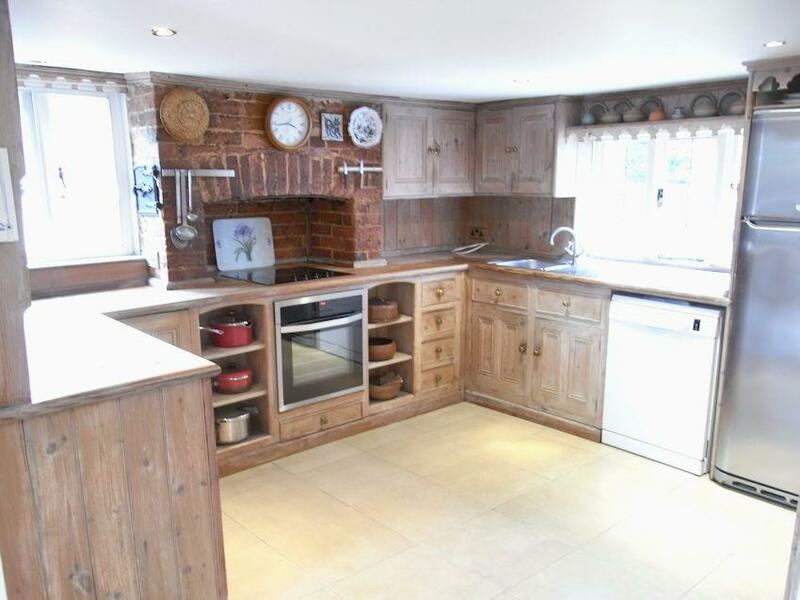 The house is on the market via Hills & Downham – see more pictures and details.